During the Dutch VR Days (October 29th – November 1st, dutchvrdays.nl) we premiered “A Breathtaking Journey”, a short interactive virtual reality experience, created by Martijn Kors and Cas Ketel. The experience places the player in the shoes of a refugee who is fleeing from a war-torn country in his/her struggle to escape the increasing violence against citizens. Throughout the experience the player is subjected to a series of uncomfortable events, representing just a glimpse of the stressful journey to reach a safe haven. Through the physical recreation of a lorry, and by incorporating unique features such as breath control and scent feedback, the player is bound for a full-embodied experience to see the refugee crisis through the senses of someone who left everything behind in search of a better future.The interactive installation has been created following the research through design process which provides us with invaluable insight for the creation of games with persuasive intent, and in particular games that are aimed at empathy induction. Working under the mindset of Amnesty International Amsterdam the objective was to support the fight for human rights and present a more human, yet distressing, perspective on the European refugee crisis. 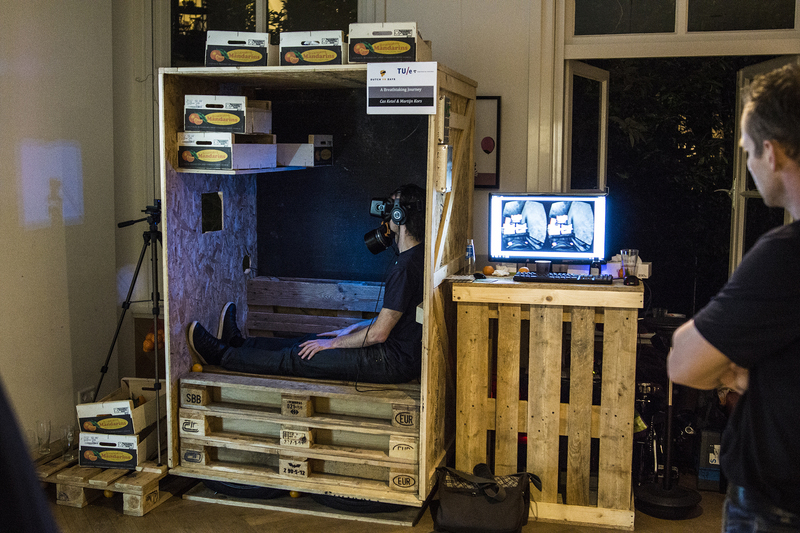 The experience was selected as one of the “Best of Dutch VR Days” projects and has been featured on prime time national news on October 30th (NOS 8pm, http://goo.gl/ZxuHLf (at the 20:45 mark) and various other media (RTL Z Today, http://goo.gl/GUBrhl , and Radio Een Vandaag, http://goo.gl/MSYOkb). Within the perspective of technological achievements, the project is unique in its rather complete embodied experience. We recreated a lorry that mimics the in-game movements and introduced a custom-made mask that diffuses scents into the player’s airstream based on the game’s narrative. Although exhibiting the project in the wild is valuable for gathering feedback for future iterations, we also use it as an opportunity to evaluate whether the experience is capable of inducing empathy by following an experimental picture/story method. This method provides insight through the elaboration of participants on the given story, comparing those who are about to enter the experience and those who just left the experience. 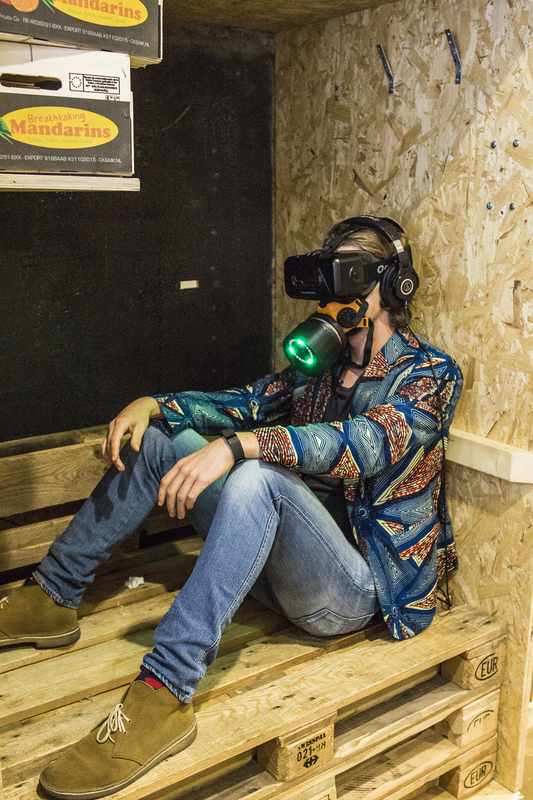 The current version of the prototype will be also be exhibited at the Bright Day (21/11/2015) in Amsterdam and Playground: Virtual Reality (9-10/12/2015) in Groningen.